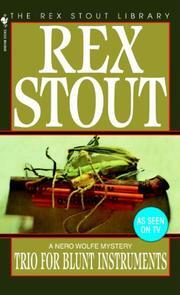 Those three novelettes feature the stationary detective Nero Wolfe and his leg man, Archie Goodwin. Kill Now, Pay Later shows Nero at his cantankerous, ontemptuous best solving the death of a business executive who may or may not have been pushed by the bootblack's beautiful daughter. In Murder Is Corny, so is the story, but it has an excellent recipe for roasting ears of corn. In Blood Will Tell analysis of the evidence saves the husband of a murdered woman who had given him good reason to have wished her dead.